Nowadays, numerous people are looking to have an exciting career in the field of travel and tourism as it offers great job opportunities. Most of the people are not aware of such options and that is why they are not able to enrol themselves in travel management courses and regret afterwards. This blog will save you from such situations as it contains information about the travel & tourism management, best travel and tourism colleges in India, and many more ___that will help you in making an excellent career in travel and tourism industry. A Brief Note On Travel And Tourism Industry! These days both the private and the public sector are carrying out the various jobs in the tourism sector. The private sector has come up with several job profiles such as travel agencies, tour operators, airlines, hotels, transport companies, and many more. Whereas the public sector offers various job opportunities in the Directorates and Departments of Tourism of the Centre and the State as Officers, Information Assistants, Tourist Guides etc. India is known for its diverse culture, heritage, and geographical diversity. The beautiful mountains, lovely beach, astonishing desert, dense forest, old towns, popular cities, and many more, this nation possesses everything. Therefore, it is not a surprise that the travel industry contributes the foremost to the Indian economy. The travel industry is growing enormously, and it will continue to grow rapidly in the future. In India, the travel industry hopes to make forty-six million job opportunities by 2025. Additionally, our government is taking numerous initiatives to enhance the structure and promote the travel industry with efficiency. The work in this fields are incredibly enthusiastic, and sporting and even pays well. As per a report revealed by the World Travel and Tourism Council (WTTC), India probably adds another Rs. 8, 50,000 crores by the year 2020 only through travel domain. Usually, a Tour Operator combines tour and travel elements to make vacation packages. He or she handles numerous service suppliers, such as bus operators, airlines and hoteliers. He/she prepares itineraries for numerous destinations and can usually monitor trends at famous destinations so as to place engaging vacation packages for customers. If you enjoy travelling, this can be the best work for you. From housekeeping and general maintenance to budget management and marketing of the hotel, a Hotel Managers manages each and every aspect of a hotel. He or she is responsible for the routine activities of the hotel such as dealing with customers’ complaints, overseeing reservations, promoting and marketing the hotel, recruiting, training and supervising staff, managing budgets and make sure that the hotel is following the health and safety measures. Those students who are considering their career as a Hotel Manager, they must possess excellent interpersonal skills, number of years’ experience in managing employees and experience in the hospitality industry. Normally, a travel agent is responsible for making a plan, booking the trips for individuals, couples and groups. As we all know that most of the people are starting to book their travel plans online, it’s often easier to use a Travel Agent, as they have years of experience and knowledge. They will assist you with hotel selection, transfer arrangements, holiday activities, and flight bookings. To become a Travel Agent, it is mandatory to have a great organisational skill, attention to detail, and the ability to think on your feet. The work of Tour Guides in the travel industry is very essential; he is responsible for giving guided tours to the visitors. He possesses an expert knowledge of specific areas such as museums, historic sites, natural features, and other destinations. He offers bus tours, walking tours, or even boat tours in an effective and efficient manner. In order to become a Tour Guide, you need to have excellent communication skills. By having the knowledge of more than one language will prove as an advantage. 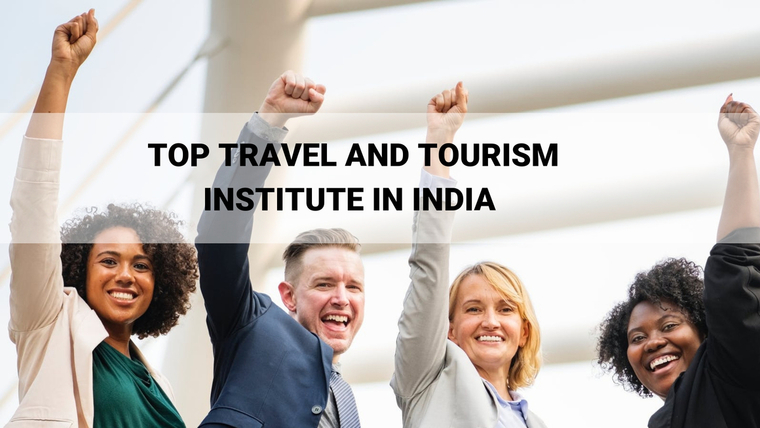 If you want to have a good career in this industry, it is necessary to enrol yourself in Top travel and tourism institute/ Colleges that offers best travel and tourism courses. To know more, here is a list of best college for doing travel and tourism management in India. While operating this business, one provides services to those individuals who are moving for business or vacation or any other purpose. Therefore, a person needs to prepare the tour packages, pilgrim travel, leisure travel, casual sight-seeing, and many more. The Travel & tourism is popular for the largest jobholder industry in the whole world and there are ample of folks who are directly or indirectly associated to the service industries. From the Govt., travel departments and major international corporations to the small-scale non-government travel agents, this industry has everything to include. In this industry, the staff have to communicate individually with the clients and know their requirements in order to provide a comfort zone, it is considered as the best way to offer the most effective service. If you are looking for the best institute for MBA in travel and tourism or any other travel and tourism colleges in India, it is advisable that you must select the travel management course offered by the stunning institutes that are also available on the web. These travel & tourism management institutes offer the courses at an affordable price.